Sited on the Magnificent Mile, Garmin’s flagship Chicago store showcases their advanced technology in a stunning space designed to encourage customers to get their hands on the retailer’s products. 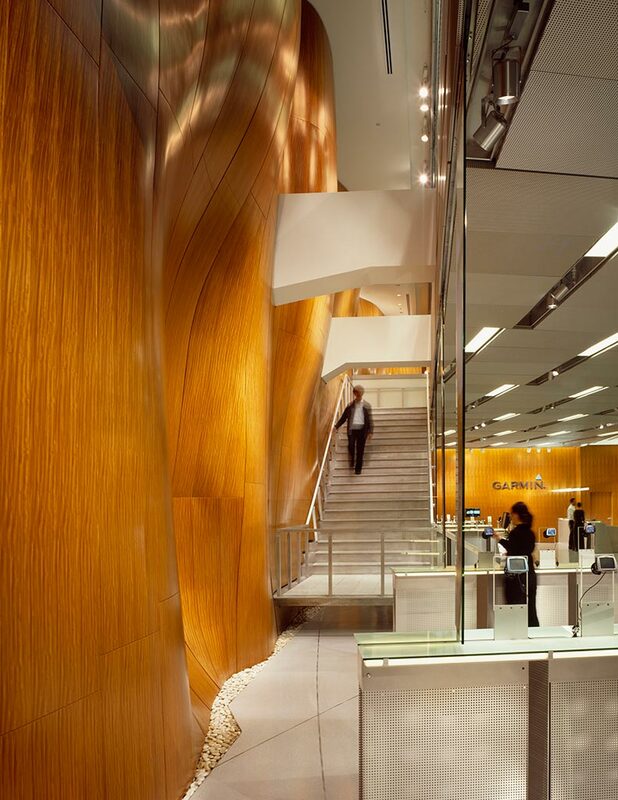 Juxtaposed against the steely, minimalist aesthetic is an undulating wall, wrapped in more than 30,000 square feet of warm amber, finely textured, quartered Afrormosia. 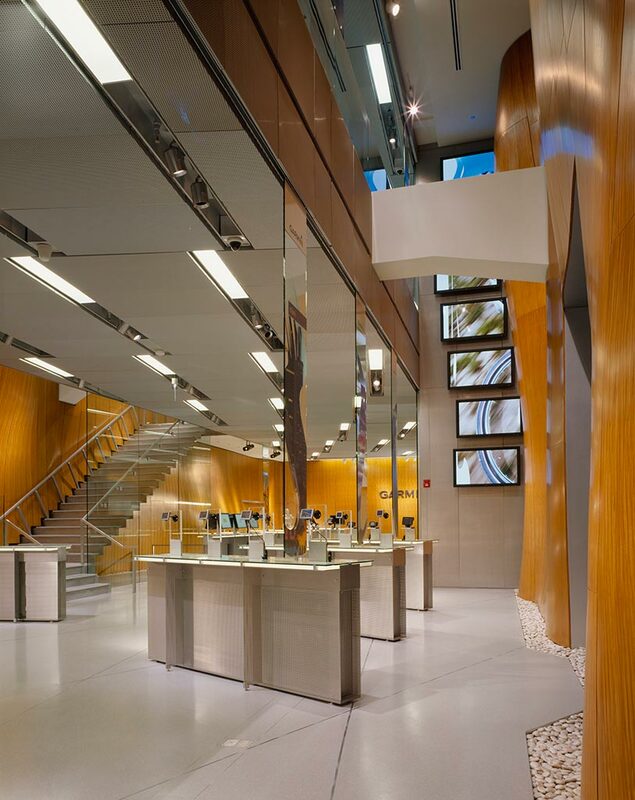 The wall’s sculptural qualities create a sense of movement in the store and a metaphor for the natural world that Garmin’s technology helps people navigate. From locating this one-of-a-kind flitch, to supporting the millwork team as they built a to-scale mockup using veneer from the specified flitch – we worked hand-in-hand with the design team to achieve their vision for this award-winning store.